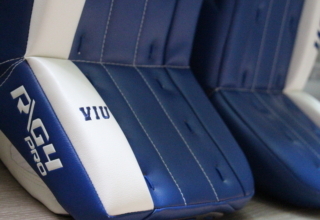 Let’s face it, hockey equipment isn’t the cheapest equipment to buy and there’s a lot to buy in order to play on a regular basis. 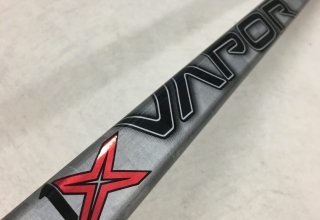 So when it comes to sticks, many have a hard time dropping close to $300 on one stick, but can ultimately come to terms with spending around $200 on the next model down. Many companies have multiple models in each line and the prices go down considerably depending on the “tech” that’s in each model. I’m going to use the QRL and QRL Pro for this review, but it’s important to understand that many companies impart the same principles with their flagship model vs. their team model. I’ll start with the tech that these two share. 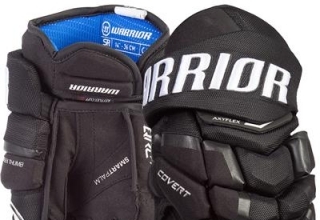 The Covert line is Warriors Low-Kick stick line and the Dagger Taper is the main reason why. Warrior designed the lower third of the stick to have an extreme taper right into the blade to maximize load and efficiency. 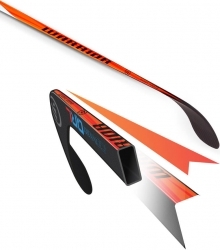 Warrior says “Dagger Taper III allows the stick to be very active and provides easy load all the way down into the blade”. For those that take quick snap shots or wristers, that means quick load/quick release and less time for the goalie to react. I was able to point and shoot with either stick and know where it was going. The feel of the blade is nice and crisp and you can really feel where the puck is when stick handling. 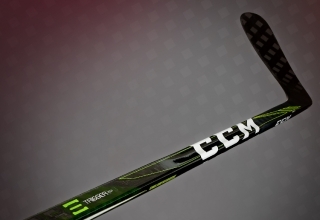 Warrior’s True 1 construction is a “True” one-piece stick all the way to the blade, providing consistency in feel and balance throughout the entire stick. I have 2 of each of these and in each model the two sticks felt pretty comparable. However, there was a noticeable difference in consistency between the models which I’ll touch on below. 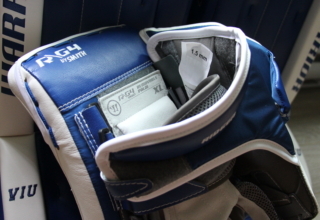 There are two major differences between the QRL and the QRL Pro, Carbon lay-up and Weight. My QRL’s comes in at 415 and 420 grams taped and my Pro’s came in at 440 and 455 grams which I believe is directly caused by what Carbon lay-up was used. 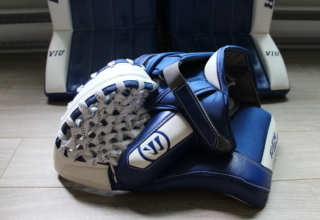 The QRL uses Minimus Carbon 1000 which is their lightest and strongest carbon weave they have, while the Pro uses their Minimus Carbon 800, which has some extra material added in. This helps reduce cost but still provides the same tech throughout the rest of the stick. The sticks are also produced in different plants. For Warrior, their top end sticks are all made in Mexico while the Pro and all other lower end models are made in China. I believe this is why there is a larger weight variance in the Pro’s vs. the QRL’s. 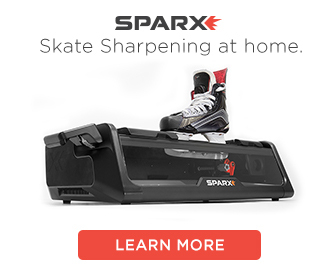 Blade Feel – The blades on both felt great. Both sticks utilize the True 1 construction and there was no noticeable difference between the two when shooting or passing. Weight – For me, the weight of the stick is a huge factor, especially when you’re used to playing with sticks that are 420 grams or less. The added weight of the Pro was noticeable and it’s more apparent when stick handling rather than shooting. I’m usually playing center or wing and I need to be able to make quick moves with my stick in order to create space or gain some extra time to make a pass and I feel like I can do that much easier using the QRL. 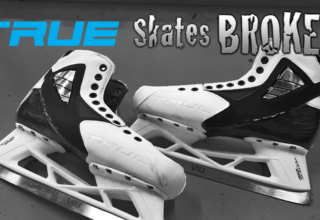 Balance – The balance of the QRL was so perfect, that when going back to the Pro I noticed that it seemed a bit blade heavy. I attributed this to the added material in the lay-up which is not there in the QRL. Balance can be subjective because not everyone is looking for the same thing, however, for me the balance combined with the weight made the QRL feel very natural in my hands. Durability – This was the number one factor for me deciding on the two. 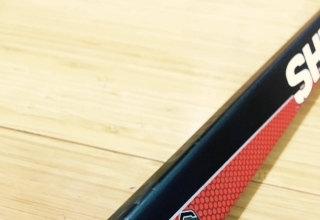 Because of the full carbon lay-up, the QRL has been much more durable than the Pro. Over the course of playing with the QRL, it’s shown little in the way of chips or cuts. The Pro, however, has multiple chips and nicks in it, especially near the taper/blade area and one of my Pro’s is actually cracked about 5 inches below my top hand. Generally, the added weight to the “Team” sticks usually helps durability, but after a few months of playing the QRL seems very durable. Of the two, I absolutely love the QRL. 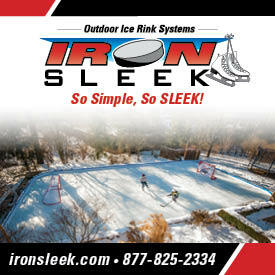 The stick does exactly what it was designed to do and holds up well to slashes and face-off battles. The Pro is no slouch and if you’re not used to playing with the top-tier model than the “Team” sticks are great value for the money. They generally provide much of the same technology that the flagship model offers at a fraction of the price, and when you’re on a tight budget it can be hard to justify that extra $80-$100. 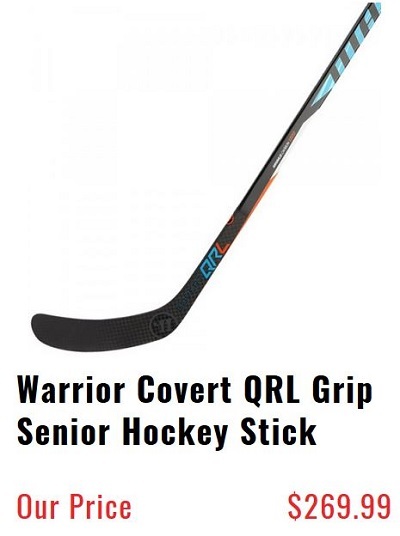 However, if you’ve always been a top of the line person and you’re looking for the most performance out of your stick, I’d recommend the QRL. Great review. There’s one small detail that I’d like to add. 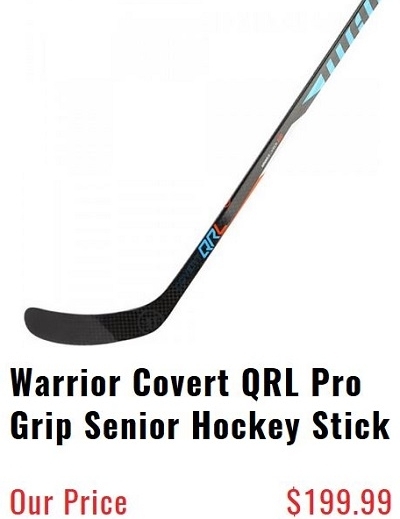 The QRL pro offers a shaft that is about 3″ longer than the QRL. My son is a 6′ 2″ defenseman and can’t use the QRL without adding an extension. The Pro fits him perfectly and is one of the only sticks that offers the extended shaft without moving up to a 95+ flex like the CCM’s. I even found a pro shop in the Boston area that discounts them an additional 20%…they’re a great stick at a really good price.